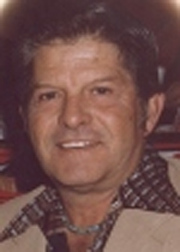 James Glen Saling, 83, passed away quietly in his home on Wednesday, March 21, 2007. Born December 14, 1923 in La Grande, Oregon, where he lived for 19 years. Jim was an only child, preceded in death by his parents, Ethel and Glen Saling, cousin Leila Oz and grandchildren Brian Yohey, Jr. In 1941, at the age of 20, he entered and served in World War II as a ball turret gunner in a B-17 called “In The Mood” (The Flying Fortress) in the Air Corps. Shot down over Germany and held prisoner of war for 11 month’s. He was one of the 700 prisoners that were transported from Stalag Luft IV in the boxcar Forty and Eight to Stalag Luft I POW camp at Barth in northeastern Germany. He was decorated with the Air Medal with 3 Oak Leaf Clusters, the Distinguished Flying Cross and the EAME Theater medals. He was discharged on October 6, 1945 and continued to keep the dream of freedom alive. After World War II he moved to Reno, NV where he lived for 65 years. As an electrician, Jim opened three businesses; Diamond Electric, Action Electric and Saling Electric. He belonged to the National Electrical Contractors Association, IBEW Local 401, ELKS Lodge 597 and Former Prisoners of War Stalag Luft IV. He enjoyed the outdoors, hunting, fishing, camping, boating, traveling and most of all, his family. Jim is survived by his wife Tessie of 63 years, married January 28, 1943. He is also survived by his four children: Lea Saling, Jim (Barbara) Saling, Yvonne McGee-McCollum (Mike McGee, Tom McCollum), Rick (Sandi) Saling, Brian Yohey; 12 grandchildren: Dessiree (Shawn) Sliter, Monique (Russ) Masset, Nea McGee, Carter (Stephanie) Yohey, Alisha (Citruan) Andrews, Tyler (Jamie) Yohey, Jimmie Saling, Zachary McGee, Anthony Saling, Hannah McCollum, Justin & Alyssia Morasky; 14 great grandchildren: Austin, Stevie & Riley Yohey, Jordyn & Shea Sliter, Cassius & Malaya Yohey, Reece & Brady Masset, Sierra Wurzer, Micaiah, Levi & Ethan Andrews, Morgan Saling. He will be missed dearly. A memorial service is scheduled for Tuesday March 27, 2007 at 1:00pm at Walton’s Sierra Chapel, 875 West 2nd Street, Reno. We invite you to send a condolence message in the “Remembrance Registry Guestbook” at the website of: www.waltonsfuneralhome.com. Donations to the POW organization of your choice in lieu of flowers.